Last Week New UK Government banned famous Islamic Scholar Dr Zakir Naik from entering in UK and the reason that where told for banning him where that Zakir Naik promotes Terror by his statements and he also said that Every Muslim Should be a Terrorist. Zakir Naik which keeps on going to UK for giving Lectures was also going to take part in a Islamic Conference that was starting from 24th of June. I am a person who has been watching Lectures of Dr Zakir Naik from my childhood. Saying that Zakir Naik promotes terror and says that Every Muslim should be a terrorist is biggest Lie of 2010. 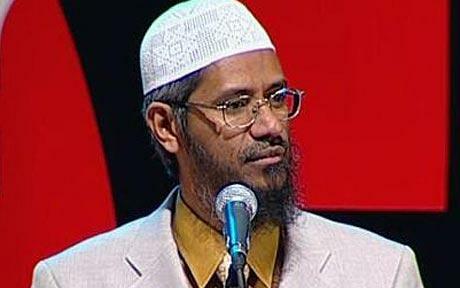 Infect Zakir Naik is a person who has worked very hard to promote Peace. You will find him saying in his every Lecture that Killing any innocent human whether he is Muslim or Non Muslim is completely Haram In Islam. Even the name of his TV Channel is Peace Tv. When Dr Zakir Naik was asked that what can be the real reasons for banning him from entering UK? He said Islam is fastest growing religion in UK and Millions of People in UK listens to me. UK Government is feared to see Islam growing so rapidly in UK this is why they banned me.